Kenya is a firm favourite amongst African destinations, with the prolific fauna of the Masai Mara Nature Reserve (A), which joins up with the Serengeti National Park in Tanzania, a highlight. The Family Adventure Company offers a package, ‘Land of the Masai’ that includes a visit to the Masai Mara, with the chance to see an array of wildlife including the big nine – lion, leopard, cheetah, elephant, buffalo, rhino, zebra, giraffe and hippo, plus wildebeest and many species of antelope and some of East Africa’s splendid bird life. There is also a meeting with local Masai people and a chance to learn something about their fascinating culture. 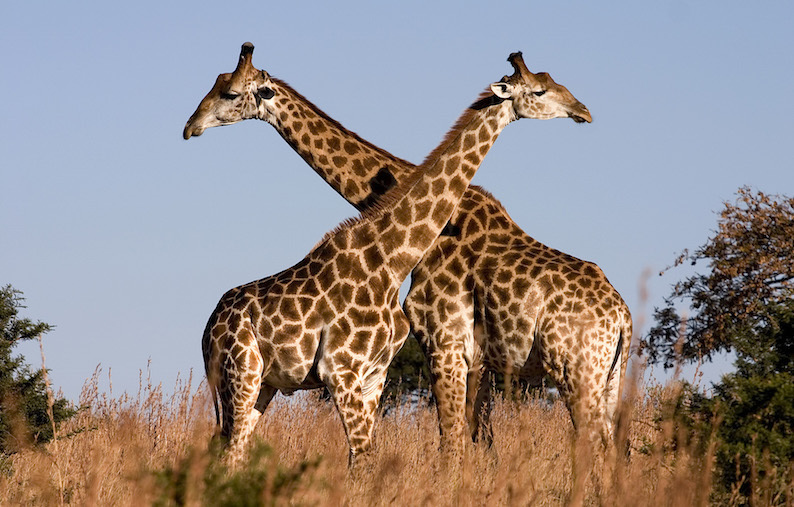 A stop at the Sheldricks Wildlife Trust (B) and the Giraffe Centre, where you can find out about the work that these organisations do to look after those animals that have been orphaned or injured is also a feature as is Lake Nakuru National Park, home of the famous flamingos. A highlight of Mahlatini’s itineraries is the recently-opened Segera Retreat (C) in Laikipia, Kenya, dedicated to conservation, but also providing guests with an authentic wilderness experience, with sweeping savannah plains and innumerable game. The lodge has enacted an array of policies to monitor the ecology of the area, with specially trained rangers keeping guard over the habitat. Segera has also created a 20-acre agricultural plot; a demonstration to locals on how sustainable farming can be effectively practiced. Activities at the property are tailored to guests’ wants and wishes but are laced with Segera’s conservational mantra known as the 4Cs (commerce, conservation, community and culture). Guests can explore the area’s vibrant local culture and meet the communities the lodge aims to help. They can also uncover the many intricacies of developing such a programme as the 4Cs and observe the many species of wildlife that populate the area, including elephant. Tanzania’s Serengeti plains have been welcoming travellers for decades, overlooked by the continent’s highest mountain, Mount Kilimanjaro. Naturetrek offers an itinerary that visits the Serengeti, along with other flagship reserves in Northern Tanzania such as Ngorongoro Crater (A), the world’s largest inactive caldera, and Arusha National Park (B), home to elephants, Masai giraffe, buffalo and waterbuck, plus a wonderful variety of birdlife, from the spectacular Tacazze Sunbird to the prehistoric-looking Ground Hornbill. The itinerary visits the Lobo region of the Serengeti National Park (C), dotted with rocky outcrops called ‘kopjes’. 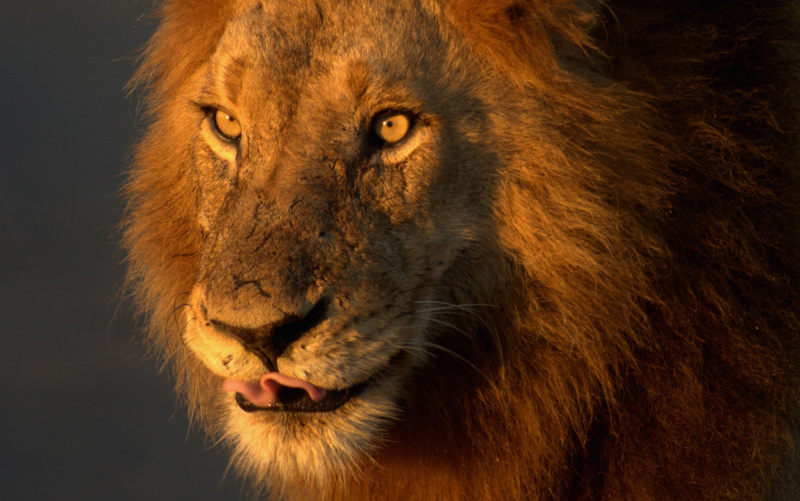 Although ‘the migration’ is much further south at this time of year, there are still plenty of mammals and birds to enjoy, including prides of lions, which remain here all year. Between December and April, two million white-bearded wildebeest and tens of thousands of Burchell’s zebra and Thompson’s gazelles spread out over the short grass plains of the southern Serengeti and the Ngorongoro Conservation Area creating one of the world’s great wildlife spectacles. Some animal attractions in the UK are extending the experience that visitors get in this country and linking it to visiting indigenous habitats. The Longleat African Safari, which the Adventure Travel Company offers in conjunction with Longleat Safari and Adventure Park, is directly linked to elephant and turtle conservation projects in Saadani National Park (D), Tanzania. Families spend time with the elephant collaring team in Saadani to learn about poaching and how they are tackling the issue, as well as their efforts to establish safe elephant corridors through Tanzania. During the summer months (July to September), it is also possible to witness green turtles hatching at a turtle conservation project and help them back to the ocean. Exodus offers a different way to see the country. Its Tanzania Cycle Safari combines the best that being on safari in Tanzania has to offer interspersed with cycling through a diverse and spectacular landscape. Starting from Arusha in the north of the country, you head out across cultivated banana and coffee plantations before meeting the Rift Valley and the grasslands used by the Masai for grazing cattle. Cyclists get close to the southern shores of Lake Manyara (E) and will almost certainly spot some game here – zebra, giraffe and wildebeest. The final days of cycling are long but hugely rewarding, as cyclists head to Lake Natron and the awe-inspiring active volcano Ol Doinyo Lengai (F), passing only Masai with their cattle and the wildlife they live alongside. Whilst Kenya and Tanzania have their famous national parks as a huge wildlife draw on a safari expedition, near neighbours Uganda and Rwanda play an important role in the survival of the mountain gorilla, of which there are only 700 remaining on earth. Nearly hunted to extinction by poachers, they are still endangered, but are slowly recovering their numbers, due in no small part to sensitive tourism efforts. The jungle terrain is best suited to trekking with a ranger guide and in very small groups due to the elusive and private nature of these animals. The majority of the gorillas live in the Virunga Mountains that cross Rwanda, Uganda and the Democratic Republic of Congo, while a smaller number live in the Bwindi Impenetrable Forest (A) of Uganda. It is possible to watch a handful of these groups in the wild – the largest primates in the world – with troops led by huge silverback males. Uganda and Rwanda play an important role in the survival of the mountain gorilla, of which there are only 700 remaining on earth. Mahlatini can include the Bwindi Safari Lodge in the Bwindi National Park (B), Uganda, in their programmes, where guests have one of the best chances to meet these elusive creatures, all the while staying in one of the Park’s most exclusive properties. Tracking gorillas is no easy task with treks lasting anything from 30 minutes to six hours, trudging through thick jungle and montane forest. However, for the experience of watching a group of these noble creatures in the wild it’s well worth it, providing one of the most touching wildlife encounters on earth. To encourage development through conservation, The Ugandan Wildlife Authority at Bwindi works in partnership with local communities. Locals receive a proportion of the Park’s revenue, are offered employment as rangers and wardens and are taught how to better make use of the land. Through this, the local people are less tempted to turn to poaching as a source of income. Go Barefoot has a ‘Go Gorillas!’ trip to Rwanda that offers the opportunity to stay high in the hills that neighbour Volcanoes National Park (C), which you can trek through to observe the gorillas. The average trekking time is between 3 and 7 hours, with time limited with the primate families to 1 hour. Treks are dependent on the movement and location of the gorillas on the particular day and the level of difficulty can be adjusted to suit. Aside from gorilla trekking, guests can climb a volcano, track the golden monkey, visit Dian Fossey‘s grave, enjoy traditional Intore Dancers, or visit local community projects and schools. The selected lodge, Virunga Lodge (D), is committed to sustainable tourism using solar energy for its water supplies and adopting ecological practices. The experience supports the Volcanoes Safaris Partnership Trust for conservation and community projects in Uganda and Rwanda, a community initiative situated along the 1000 Hills trail, which is providing job opportunities to local people through IT training, weaving, education and music workshops. Go Barefoot also supports an environmental co-operative with a reforestation effort in the Musanze region. 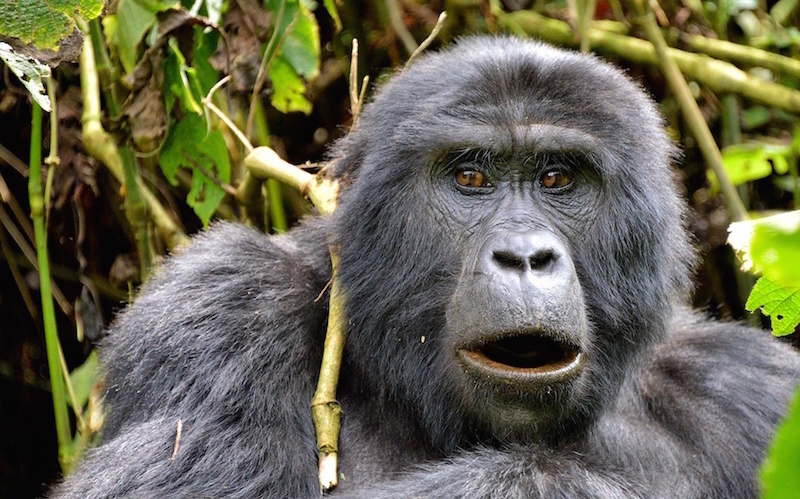 Explore offers a Gorilla and Chimp Safari trekking deep into the Ugandan rainforest near Bwindi in search of the mountain gorilla as well as chimpanzees in Kibale Forest (E), the best place in Africa to spot these intriguing creatures. Visiting a range of National Parks, travellers have the chance to observe other wildlife including hippos, zebras and impala in their natural habitat too. To the west of Africa, Namibia is a destination becoming more and more popular. It is the last place on the planet where black rhino roam freely – one of the ‘Big Five’ – which also includes lion, elephant, buffalo and leopard. With the Western black rhino only recently being declared extinct by the International Union for Conservation of Nature (IUCN), it is more important that ever that efforts to save the rest of the species are supported, and well-managed tourism is one way to do this effectively. Popular with those wishing to combine luxury and adventure, Mahlatini works with the Wilderness Safaris’ Desert Rhino Camp (A) in Namibia, which offers excursions into the vast rocky desert landscape to track these rare black rhino. Rhino poaching is a crisis currently sweeping Africa, with desert rhino no exception from persecution. As one of the continent’s most iconic animals watching rhino in their natural habitat is an experience not to be missed. Fortunately for Namibia’s rhino, the camp works in conjunction with UK-based charity Save the Rhino, which engages in extensive monitoring, field patrols and capacity building for the species. Since the charity’s intervention 30 years ago, black rhino numbers have increased to five times their original standing. Guests have the chance to join expert guides and venture out into the field, on foot or via vehicle, and obtain a glimpse of these critically endangered creatures in the wild. Amongst Exodus’ responsible wildlife holidays is a ‘Discover Namibia’ package that explores further the wildlife of a country whose dry conditions support an incredible amount of life. 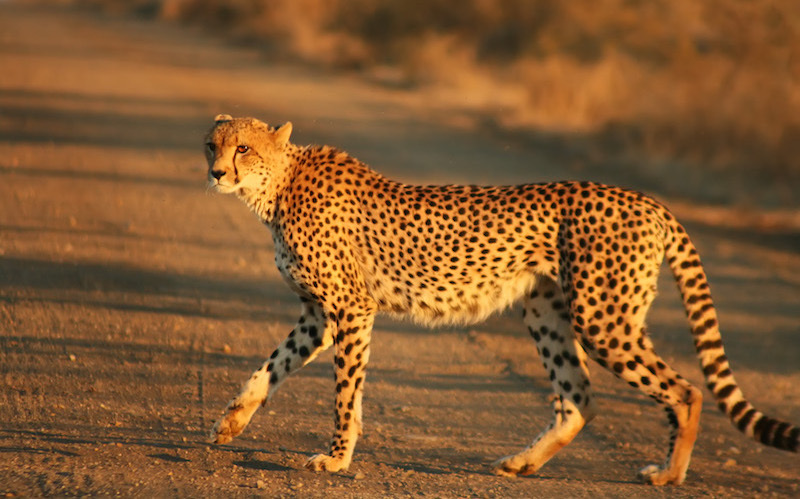 The package includes a visit to the Cheetah Conservation Fund (B), a charity set up to research cheetahs and educate the public, with the aim of protecting this magnificent cat – the world’s fastest land mammal – and it’s habitat. You can meet the centre’s resident cheetahs (who cannot be released into the wild) and learn about the conservation efforts taking place in Namibia at the education centre and museum. Exodus also supports the WSPA’s efforts to ban commercial seal hunting in Namibia. Travellers stay in local lodges as well as park authority lodges and campsites (where the money gets used for wildlife conservation). Recycling is still uncommon in Africa but on this trip, all glass, plastic and aluminium used is recycled by being taken to the three recycling depots available in Namibia from where it gets taken to a large recycling centre in Windhoek. For a more intense experience, Biosphere Expeditions runs a big cat & elephant expedition in Namibia, which highlights the importance of lay people to serious research and conservation projects. Much of biological data collection consists of simple tasks and with a little training anyone can help to collect much needed information. Hard data form the core of all scientific arguments, but someone has to collect the information and this is often labour-intensive and, within a well-designed research project, can therefore be perfect for lay involvement. The local scientists who work within the Namibia project have many animal traps to capture wildlife such as lions, cheetahs and leopards for radio-collaring, but on their own would not have the time to drive through the vast study site and check each trap every day, were it not for those taking part in a Biosphere expedition. 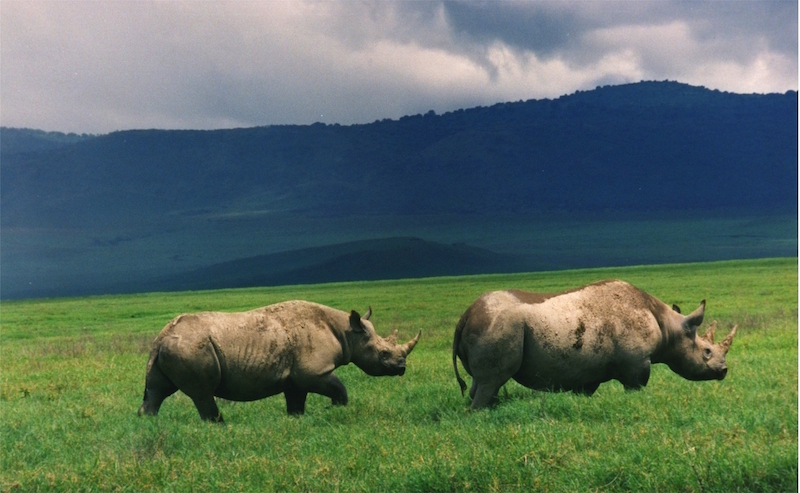 South Africa is currently experiencing a major crisis in rhino poaching, but other species are also suffering too, so supporting organisations such as Earthwatch, which works with tour operator Kuoni, is vital. Kuoni’s wildlife volunteering holidays in South Africa currently offer opportunities including the study of the leopards and primates (chacma baboons, vervet monkeys and samango monkeys) of the Soutpansberg Mountain range (A). Tasks range from observing behavior and collecting GPS data to trialling revolutionary new technology. In particular, local farmers see the monkeys as pests quick to take advantage of crops and this project helps examine how to help the two co-exist well. Kuoni and Earthwatch also work together to offer a volunteering holiday that helps protect penguins in South Africa. In 2010, the conservation status for the African penguin was changed from Vulnerable to Endangered and with two recent oil spills having affected a large proportion of the African penguin population, the research into their survival rates, foraging ecology and overall breeding productivity is essential for future conservation. 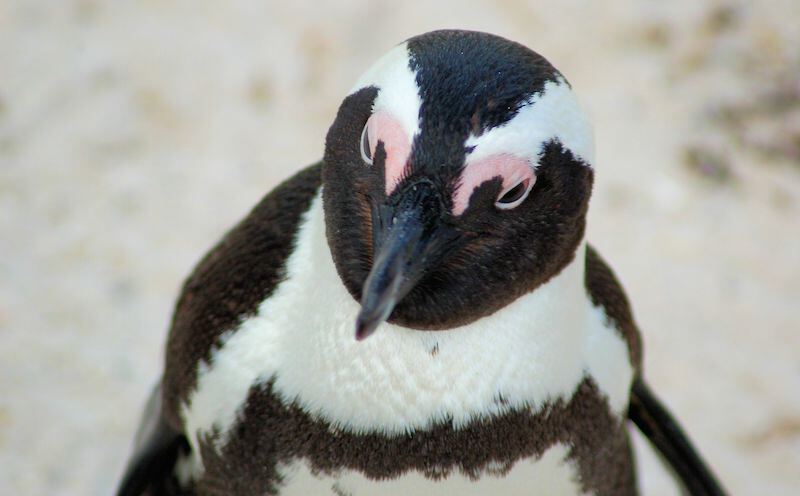 The main concern for Earthwatch is to help understand the causes for the African Penguins’ rapid population decline and to use any information gathered to help develop appropriate conservation methods. Money from the trips helps fund research and education work as well as buying basic scientific equipment. G Adventures has seen increased demand for more trips in South Africa and the destination features in a new line-up of Classic trips. 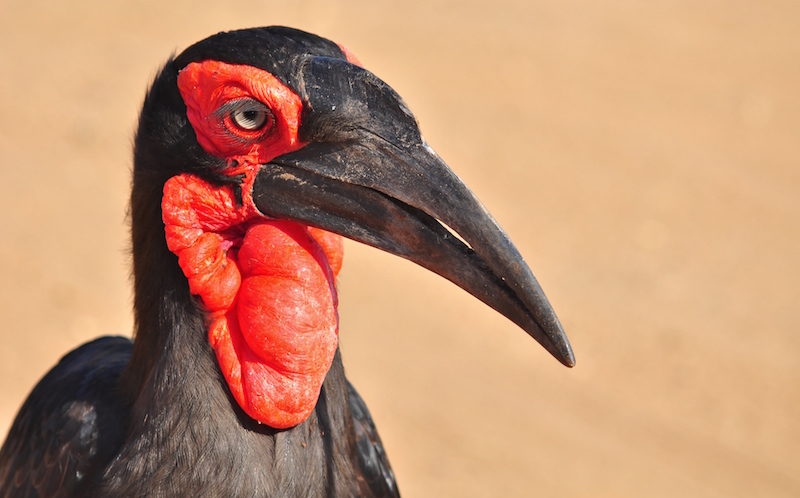 The ‘Cape, Rails and Kruger Quest’ package devotes most of its time to exploring the nearly 2.5 million hectare Kruger National Park (B), home to over 600 species of mammals and birds. Designed for travellers who don’t have lots of time, it allows you to track the Big Five on daily game drives in Kruger and the surrounding area, and to visit a Planeterra project – the G Hope Africa pre-school – on the way to Johannesburg. Accommodation is generally in lodges or camps, with the latter allowing travellers the excitement of sleeping out under the stars. Unfortunately big game hunting is an activity openly promoted by some African tourist boards, it is even more important to make sure that you book through a reputable tour operator, with a proven track record in ethical conservation practices. Steer clear of those whose offer involves unnecessary close contact with wild animals, which only serves as a photo opportunity and is of no benefit to the animal.